Sleep and eat together with your precious at Kizuna. We hope that you and your dogs will have a wonderful memory during your stay. 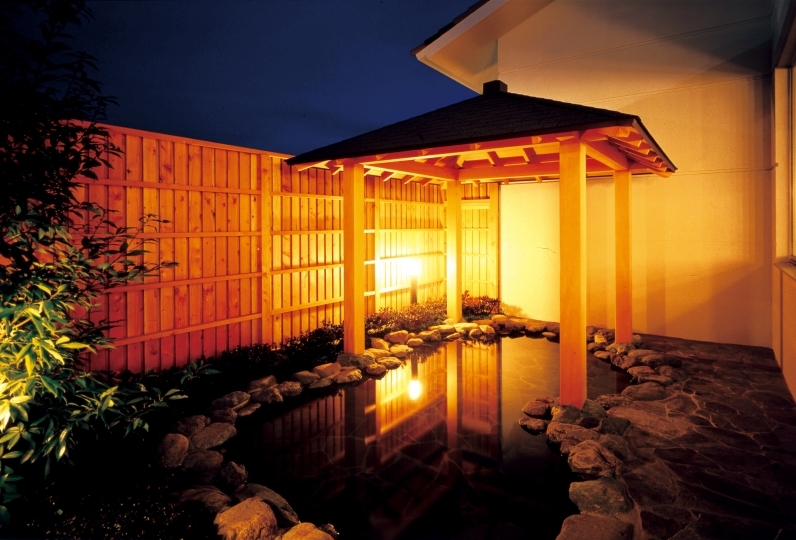 All rooms are Japanese traditional architectural style "Sukiya-Zukuri." You can choose from 3 types of Japanese style rooms and annex special room. 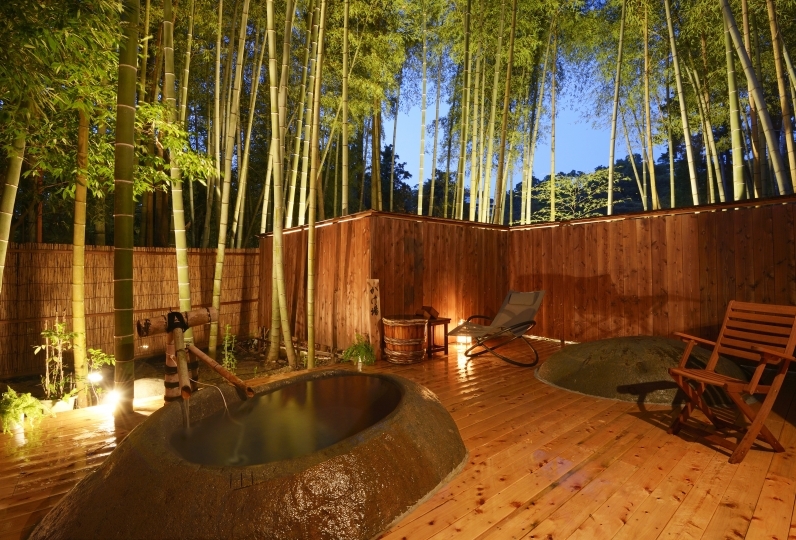 Shuzenji Onsen with a history of 1,200 years is known as the oldest hot spring in Izu. Thick and smooth water will warm you up. There are also many activities for dogs. You can exercise with your dogs in a spacious dog run. We serve your dinner in your room. Taste and enjoy high-quality "Kaiseki" dishes using over 100 ingredients in the private space. "Nakai" staff who attached to each room will serve you. Have a wonderful memory with your dogs. Room-service is available for all rooms. 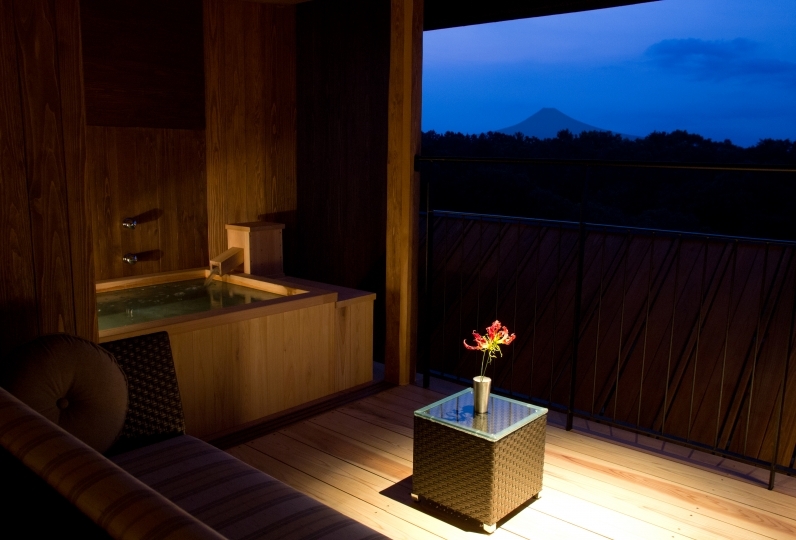 You can enjoy the oldest natural hot spring water of Izu in the public bath, an open-air bath, a foot bath, and a private open-air bath in an annex spacial room. Also, your dogs can enjoy hot spring as well at foot-washing place. Our public bath (inner bath) is made of Izu Stone which is a gentle touch as well as hot spring water of Shuzenji Onsen. The water temperature is very comfortable since our staff controls the 60℃-hot spring water adding some cold water. A natural hot spring foot bath is 24-hour open. It will be a relaxing time viewing cherry blossoms and 80-year old big pine tree. You can enjoy the scenery lighted up at night. Nerve pain, muscle ache, joint ache, frozen shoulder, motor paralysis, stiff joints, contusion, twisted joint, chronic digestive diseases, hemorrhoid, health enhancement, soothing effect, recovery from illness, excessive sensitivity to cold. *If you need more amenities such as pet sheets, feel free to ask the staff. *The number may be limited. Etiquette corners for dogs' toilet are equipped inside the building. Equipped with shower booth for dogs at the entrance of the main building. Feel free to use the shower after dog run or taking for a walk. The hot water of the washing place surrounded by Mikage Stone is a natural hot spring. There is an outdoor dog run passing a Japanese garden. 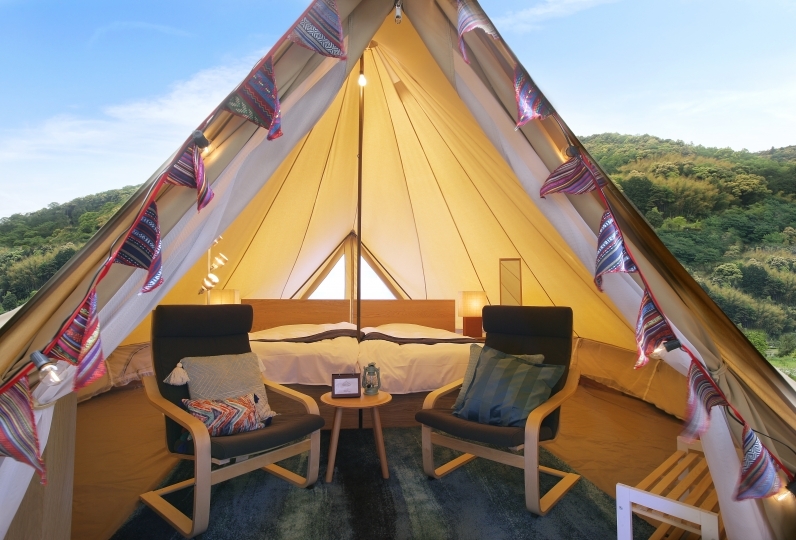 It has 660㎡ lawn field and enough for large dogs. The entrance is a double door and secured. Enjoy with your dogs in a spacious dog run.